Mount Namhan Fortress on the outskirts of Seoul harbors one of the most shameful memories in Korea’s history. In the winter of 1636, King Injo of Joseon Dynasty sought refuge inside the bulwark fleeing an invasion by the Qing Dynasty. 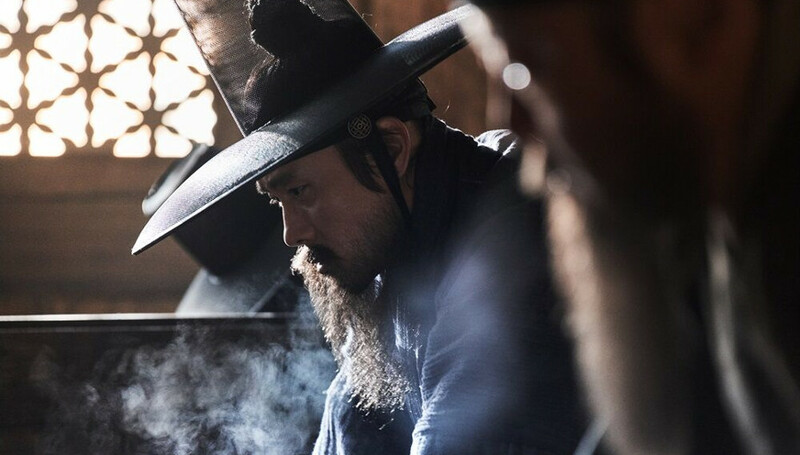 “The Fortress,” a new film released Tuesday, illuminates the embattled king’s 47 days of hiding which ended in a humiliating surrender to a conquering Chinese general. Park Hae-il of “Memories of Murder” and “Host” effectively portrays the conflicted, troubled young king faced with a choice between disgraceful submission or the total annihilation of his people. But the true stars are the characters of his top aides, Choi Myung-kil and Kim Sang-heon, played by Lee Byung-hun and Kim Yoon-seok, respectively. Throughout the film’s 11 chapters, Choi, the top personnel affairs official, and Kim, foreign policy chief, engage in a series of spirited debate on war and diplomacy. Lee once again proves that he is one of Korea’s most versatile actors. Kim exudes an extra level of heft and gravitas required in such a tense film. Though given less screen time, supporting characters played by Go Soo, Park Hee-soon and Jung Myung-soo are never outshined by the main leads. A majority of key scenes take place within a make-shift palace inside the fortress, where Injo and aides discuss survival options and resource distribution — such as whether to use the last remaining hay to feed the starving war horses or use it to make makeshift blankets for front line soldiers. The film, shot beautifully, is not short of dynamism. Breathtakingly wide vista of the barren winter mountains fills up the screen. Visually exciting battle sequences spread throughout the film as much as they are consequential in terms of moving forward the plot. Accompanied by Japanese composer Ryuichi Sakamoto’s nuanced-yet-dramatic score, the movie’s visuals also feel as if a sepia-tone filter was layered over it, apparently to highlight the dire mental and physical conditions the people within the fortress are in.